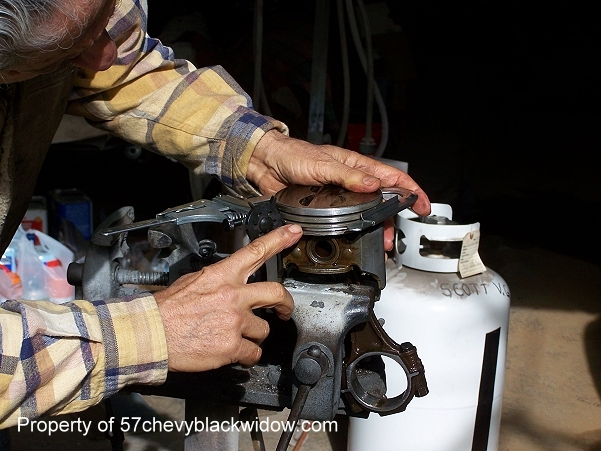 In photo's #265 thru #268, you see "Old Guy Scott" honing the cylinders and fitting the ring gaps. He fits the rings at .020-24, so they won't seize. Use the ring land tool, Photo # 269, to keep from rounding the ring land edges. 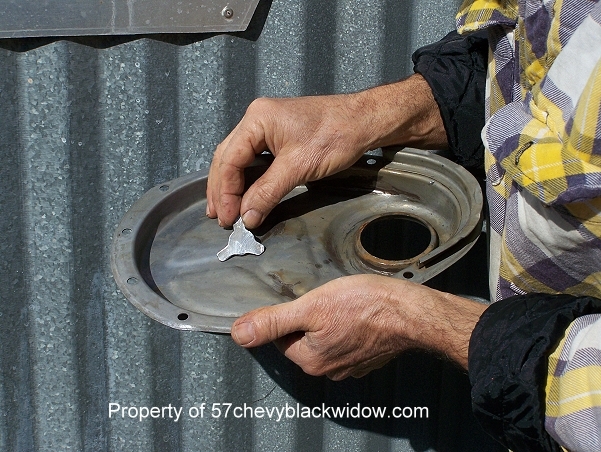 "Old Guy Scott" chooses to repair and recondition the original tin. 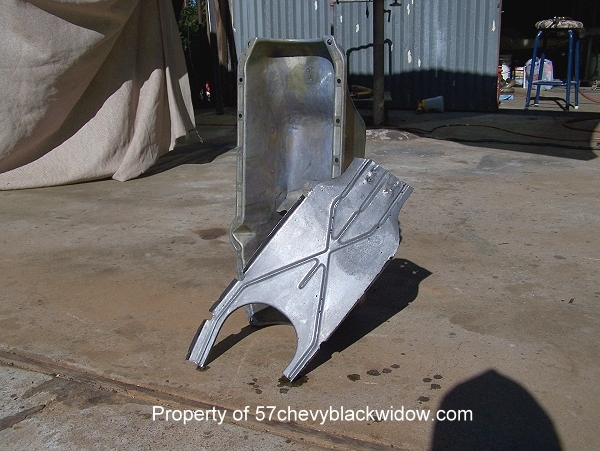 He says the reproduction "third world" parts are foreign junk that is poor quality, misfitting, junk that leaks. 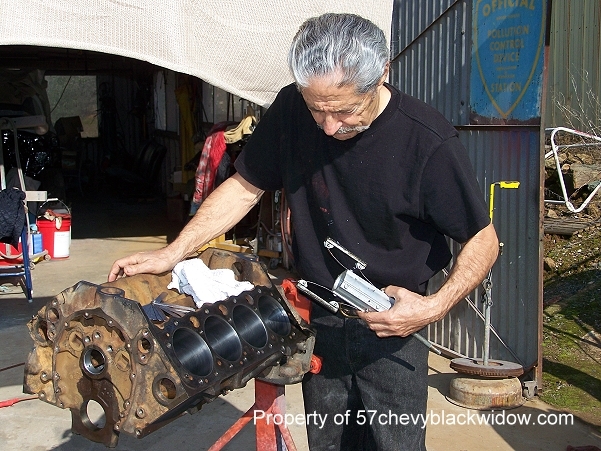 Fifty year old American parts are far more superior. 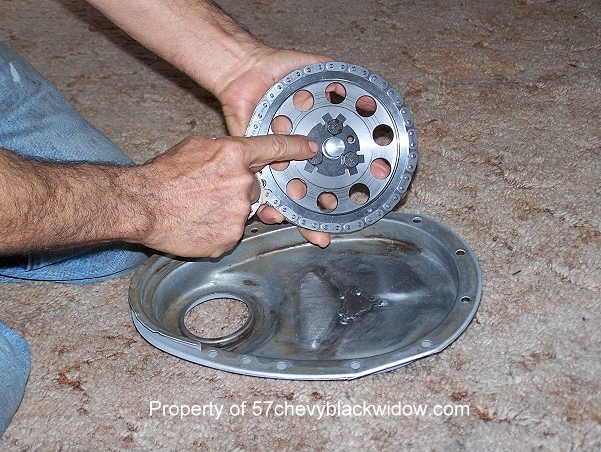 "Old Guy Scott" removes the pan baffle in order to clean the pan. This is extra work, but necessary for a clean job. The smallest speck of dirt can ruin this engine. 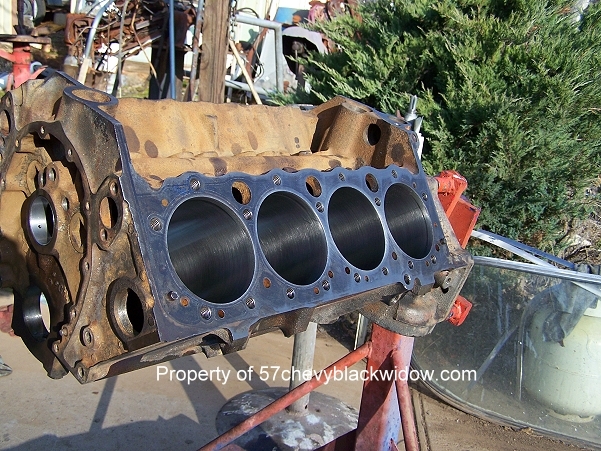 This race engine will use a double roller billet gear with torrington needle bearing thrust washers set at two degrees advanced valve timing. The maximum torque will be in at a more usable R.P.M. now. 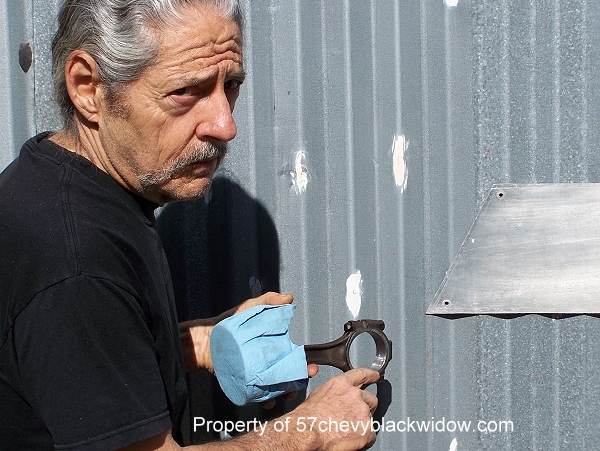 "Old Guy Scott" shows the piece you need to make in order to reinforce the timing cover. He will shape the cam button to lightly brush against the cover. 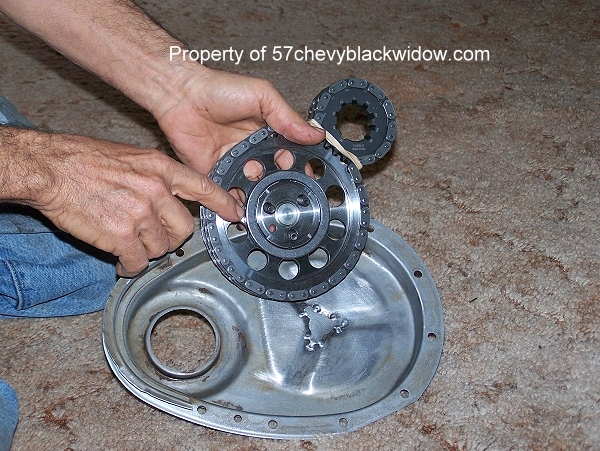 This keeps the torrington bearing from falling off the timing gear collar, carefully check photo's #273 and #274. Photo #270, when you reuse the rods, "Old Guy Scott" reminds you the big ends need to be resized. 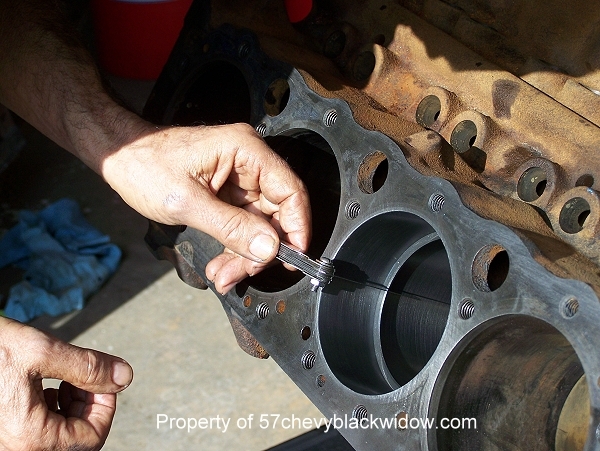 He says never forget this step, even if the inserts seem tight, a high revving engine may spin a rod bearing if you don't.